Misty Harbor is less than a 15-minute drive from Dock Square – the center of Kennebunkport’s holiday festivities known as “Christmas Prelude”. This quintessential seaside celebration has grown to a 14-day event with Santa arriving in a Lobster Boat, Tree Lighting Ceremonies, Caroling events, Historic House Tours, Sleigh rides and much more. Shoppers enjoy great bargains and deals while cookies and cider are served in the boutique and art galleries. There are holiday fairs to stock up on Maine made crafts and gifts for your shopping list. One of the Christmas festival highlights is the tree lighting ceremony in the center of town. 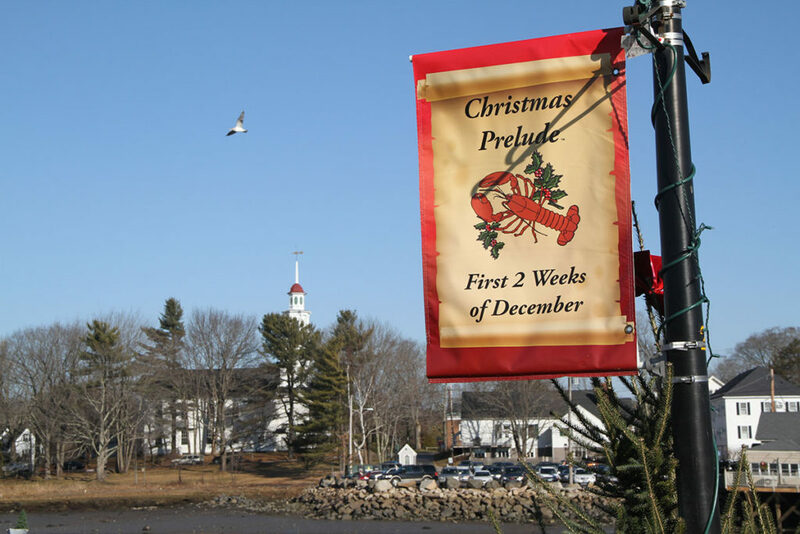 Christmas Prelude started in Kennebunkport in 1982, and has become one of the most popular times of year in this classic Currier and Ives seaside village where Presidents and celebrities vacation and guests come from around the world. The picture perfect village is stunning when it is all decked in bows, boughs and bright lights to welcome the holiday season. 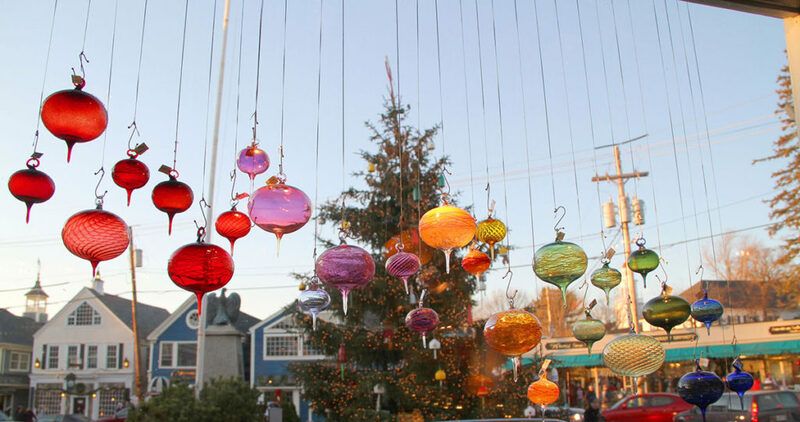 Kennebunkport transforms itself into a century old village with the old fashioned spirit of the holidays. Like a Norman Rockwell scene, the town conjures up Christmas’ of the past and the magic of the true holiday spirit. It’s no wonder that Kennebunkport’s Prelude has fetched the media spotlight. Recently, HGTV featured Prelude as the “#2 Christmas Town in America”. 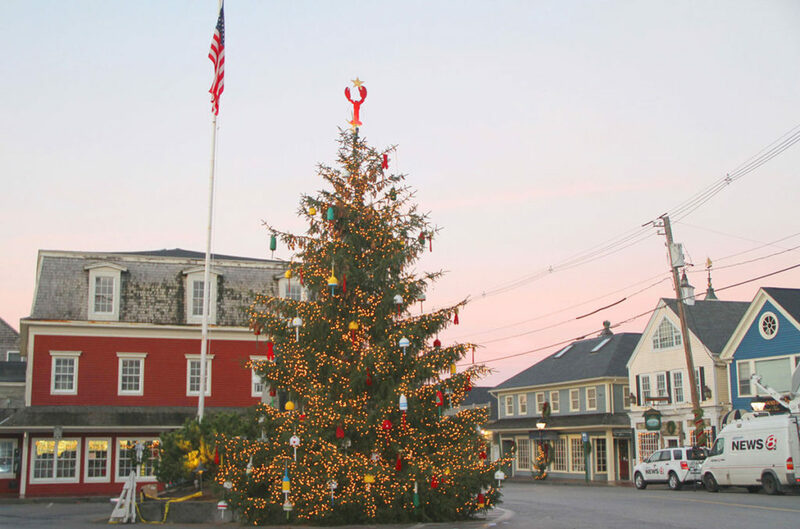 Festivities extend to downtown Kennebunk and to the fishing village of Cape Porpoise where locals construct a Christmas Tree entirely out of Lobster Traps. Kick off your holidays with a visit to Misty Harbor this December where you are a short drive from Kennebunkport. One Bedroom Suites from only $99 per night! Two Bedroom Suites from only $119 per night! Plus… Buy 2 Nights and get the 3rd Night FREE!